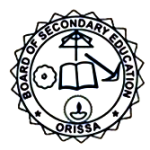 Board of Secondary Education Odisha High School Certificate examinations 2015 starting from 23 February and it will end on 9th March announced by BSE Odisha president Dr Daskhya Prasad Nanda. This year six lakh plus students going to appear in HSC 2015 examination. Mostly as same per the before year, the High School Certificate examinations have two sessions that is first session is begin from 9am & its end on 10 am and students will answer questions on OMR sheets. The second session will starting from 10.10 am and it will end on 11.40 am. Students must enter to examination hall at 8.30 am. Students will get exam question and OMR sheet by 8.45 am. The examination answer sheets will be collected after first session over and then students can attend the second round exam. BSE Odisha president Dr Daskhya Prasad Nanda that Board is officially added all types of arrangements to smooth conduct of HSC Exam 2015. The High School Certificate examinations 2015 answer sheet evaluation process will starting from 15th March 2015.